With the New Year almost upon us, many people are making resolutions to eat healthier, quit smoking, or even to stop procrastinating. In addition to conquering these ambitious goals this coming new year, parents should consider safeguarding your children’s future by updating your estate plan. Resolving to address your children’s estate planning needs this holiday season will allow you to enter the New Year with one less worry. 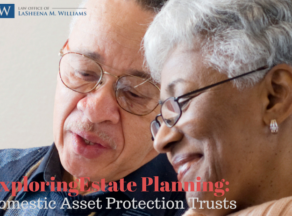 The truth is that all parents, regardless of their net worth, should have a comprehensive estate plan. By creating a comprehensive estate plan, you will ensure that you make the important life decisions that will impact your children’s future. At The Law Office of LaSheena M. Williams, LLC we recommend making 2017 the year you take the steps necessary to ensure that your minor children are protected no matter what the future may bring. 1. Designate a guardian for your children. 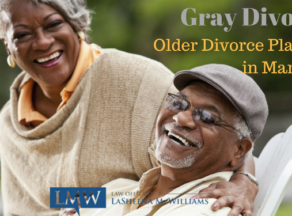 Designating a guardian for your children allows you to name a preferred caregiver for your children if you become available. 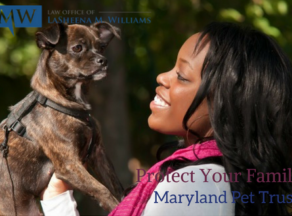 Designating a guardian protects your children by ensuring that you have a say in who will care for your children, and allows you to decrease the likelihood that your children will be left to an unqualified guardian or even the Maryland foster care system. 2. Choose a person who will manage your children’s assets. 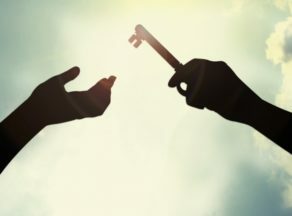 Choosing an estate or trust administrator is important. You want to choose someone you trust to uphold your financial values and who can responsibly provide for your children’s needs. By choosing your administrator, you decrease the risk of a judge appointing a stranger as guardian of your assets. This process can be expensive and cumbersome; and is easily avoidable with a comprehensive plan. 3. Set up and fund a trust for your children. Setting up a trust allows you to control how and when your children will receive the assets you leave them. With a trust, you can ensure that your children will be provided for financially until they reach maturity. 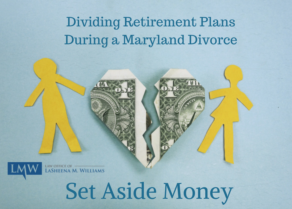 You can require the trust to delay when your children will gain control of their share of assets, or you can stagger the distribution of assets over several years. Without a trust, your children will receive their share of assets when they become 18 years old, even if they do not have the financial maturity to properly manage their assets. 4. Invest in your child’s higher education. Education is more important than ever in our current economic climate, and parents can resolve to secure their child’s education by setting up a 529 education savings plan. This plan allows parents and other relative to contribute regularly to their minor child’s education. No one knows and loves your children like you do. 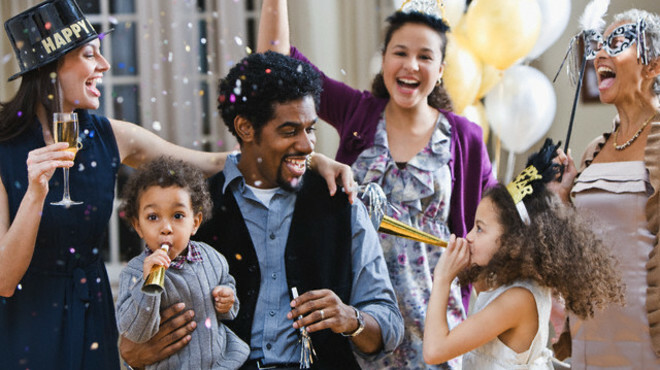 Although estate planning may not be as exciting as some of the other New Year’s Eve activities, it is rewarding to have an adequate plan in place that accurately reflects your wishes. No one knows and loves your children like you do. 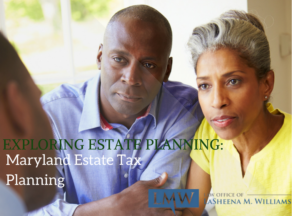 Updating your estate plan allows you to make decisions in your children’s best interest. 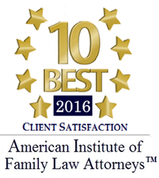 If you have other questions or concerns about how to protect your minor children with estate planning, please contact our office today. 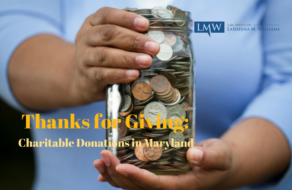 You can reach attorney LaSheena M. Williams at (301) 778-9950 or lmwilliams@lmwlegal.com. 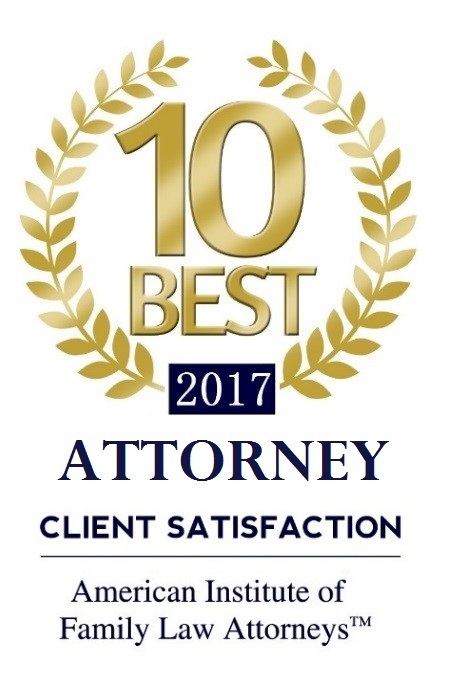 At the Law Office of LaSheena M. Williams, LLC we can help ensure your children will be provided for—and that you will have the peace of mind you deserve.